Since the 1990s, there has been extended discussion of portable nuclear devices, US or Soviet-manufactured, which became known as “suitcase nukes”. These are represented usually as small metal suitcases or backpacks, whose appearance makes them almost impossible to detect. Their portability adds a new twist to the conspiracies discussed here, where once again tensions between agencies emerge during the investigations. 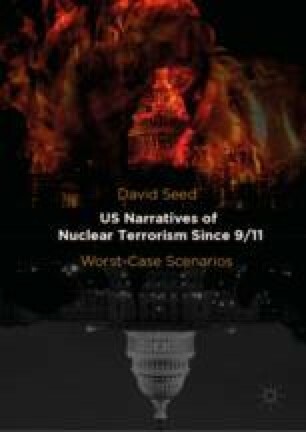 Domestic conspiracies by white supremacists and others recur and, in addition to novelists like Valerie Plame, the chapter includes consideration of films like Bad Company. Fears of a resurgent Russia compound the complexities of the conspiracies depicted.